Mary Lou Bruner’s terrifying and bonkers education views. This person nearly controlled Texas education policy. That is terrifying. 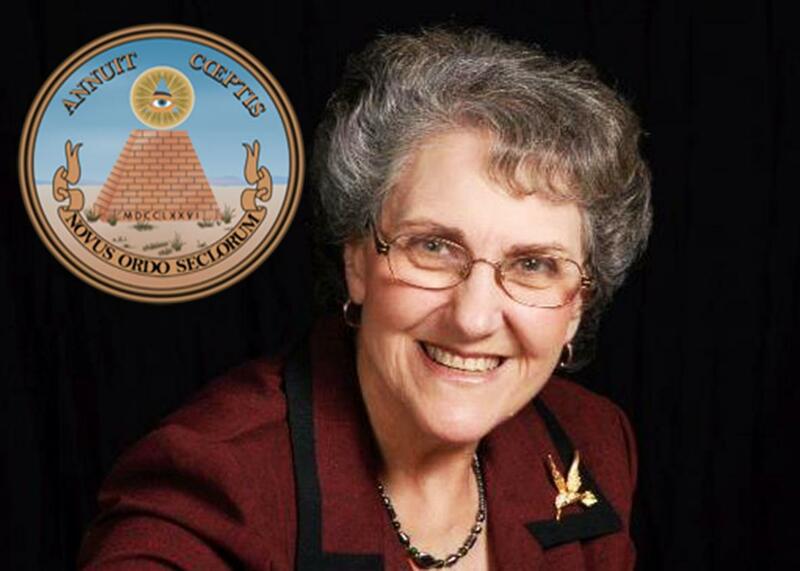 Mary Lou Bruner, who is running to join Texas’ State Board of Education, believes in the One World Order conspiracy, among other out-there views. Photo illustration by Sofya Levina. Images by Ipankonin/Wikimedia and screenshot via Washinston Post. While the Facebook views of a retired kindergarten teacher from Mineola, Texas, wouldn’t normally have much impact on the rest of the country, Bruner’s views do. That’s because she is pretty much a lock to be joining Texas’ State Board of Education next year. And the Texas State Board of Education can have a significant impact on what goes into textbooks all over the country. It’s unclear exactly how far and where Texas textbooks spread today, but because the state is so large, when textbook companies write their books, many make them fit Texas’ standards. While some of Bruner’s more out-there opinions—like the Democratic Party assassinating JFK and Speaker of the House Paul Ryan’s beard making him appear to be a secret Islamic extremist (“He looks like a terrorist to me”)—won’t likely be seen in our nation’s school books anytime soon, some of her other dangerous political and historical ideas could shape those books in subtle but profound ways. 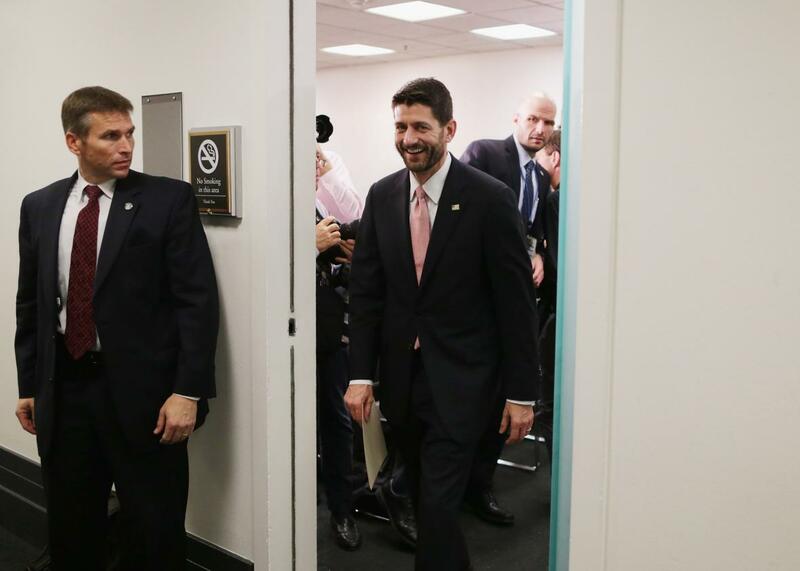 Bruner did not approve of this facial hair: Speaker of the House Paul Ryan at the U.S. Capitol in Washington, D.C., Dec. 16, 2015. As just one example, Bruner has written that it would “DESTROY PATRIOTISM” (caps hers) to teach about historic injustices toward Native Americans. “Many [Native American] tribes were war-like and vicious and they lived like many of the tribal people in Iran and backward Middle Eastern Countries,” she once wrote on Facebook. As a leading candidate to oversee public education in Texas, Bruner also opposes public education itself, at least for children of immigrants. “We must stop ALL of the magnets which are attracting illegal aliens including the sacred cows: Birthright Citizenship and Free Public Education,” she wrote on Facebook. Again, this doesn’t mean Texas is actually about to put the One World Order into America’s textbooks or dismantle all public schools. Instead, Bruner is likely to use her influence to make smaller but equally insidious changes to textbooks and education policy based on whatever random political issue du jour catches her eye. This kind of politicking is already going on in Texas’ textbooks. Bruner’s election will just add one additional layer of crazy revisionism based on personal politics. But after the Occupy Wall Street movement, income inequality had become a red flag for one of the topics that conservatives didn’t want taught in public schools. The board chairwoman at the time, Barbara Cargill, ordered Pearson to meet with conservative activists, and Pearson ended up changing the income inequality answer to attribute the Great Depression to “the Federal Reserve’s monetary policy decisions.” This answer is more in line with the political philosophy of someone like Ron Paul, but the actual answer to this question is still debated by historians and economists, who are divided on the issue. Judging the past along our modern political spectrum, this new answer had been moved from left to right, actual historical debate notwithstanding. It’s little facts like this where Bruner is most likely to have her own dangerous influence. If she gets the chance, one of her first revisions might be to the history of the Reconstruction period. Bruner, who doesn’t believe the Civil War was fought over slavery (Lincoln freed the slaves “for the wrong reason”), has recently taken an interest in reparations. (Maybe she’s been skimming Ta-Nehisi Coates.) “Black folks have been taught they deserve reparations because their ancestors were slaves,” she wrote on Facebook. But she believes that black Americans have already been given reparations for slavery. “The blacks were given land and a mule, which were usually confiscated from the plantation owners’ land,” she wrote. What Bruner didn’t bother to learn was that this land was confined to a portion of coastline from South Carolina to Florida, and even if this had been enough in the way of reparations, former slaves didn’t get to keep the land. In 1865, President Andrew Johnson “returned the land along the South Carolina, Georgia and Florida coasts to the planters who had originally owned it,” wrote historian Henry Louis Gates for PBS. But, if Bruner gets her way, Texas’ textbooks might solve today’s political debates by emphasizing that 40-acres-and-a-mule was a successful and final reparations program during Reconstruction. No need for “white folks” to be “ashamed to be white” (Bruner quotes on this historical topic) or to understand things like housing discrimination and poverty in the context of past history and racism. Bruner might also teach that ending slavery is actually what caused racial tension. “Many historians say the propaganda spread during the War between the States and RECONSTRUCTION are the things which caused the great division between the races in the USA,” Bruner has written. Bruner also has issues with feminism, writing, “fathers have been replaced by welfare money.” This idea is already being taught by the largest charter chain in Texas, Responsive Education Solutions, which uses a history textbook that says that feminism caused women to turn to the government as a “surrogate husband.” With Bruner in place on the board, we could very well see this idea spread even further. Still, who knows if Mexican American Heritage will pass her historical muster, even if it successfully butchers the subject? Anything vaguely Latin might be enough to get the axe, because Bruner doesn’t really know what Spanish is, but she doesn’t like it. She has previously noted her displeasure with the Spanish language, including bi-lingual teachers and politicians who cater to Hispanic voters. In one Facebook post, she implied that her senator, John Cornyn, was speaking out both sides of his mouth on illegal immigration because he ran a foreign language campaign ad. The ad said “Gia dinh. Tu’ do. Co’ Hoi.” “My Spanish is not good enough to translate the message,” Bruner responded. The ad actually translates to “Family. From that, opportunity,” in Vietnamese. God help us when Bruner reaches her language standards rewrite.